BeritaDEKHO - India has approved the construction of ten indigenously designed pressurised heavy water reactors (PHWR). India approved the construction of ten 700 MWe units in a “significant decision to fast-track India’s domestic nuclear power program”. The Cabinet’s announcement did not give any timeline or locations for the new plants, but said the project would result in a “significant augmentation” of the country’s nuclear generation capacity. 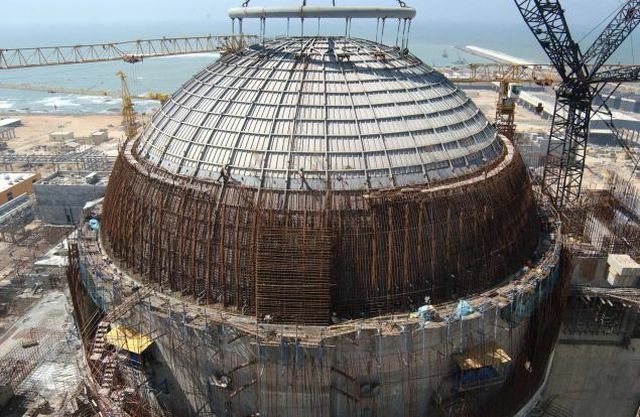 India has 6780 MWe of installed nuclear capacity from 22 operational reactors with another 6700 MWe expected to come on stream over the next five years, the cabinet noted. It said the ten new units would be a “fully homegrown initiative”, with likely manufacturing orders to Indian industry of about INR 700 billion ($11 billion). China is to supply Argentina with two nuclear power reactors – one a Candu pressurised heavy water reactor (PHWR), the other a Hualong One pressurised water reactor (PWR). The contract was among 19 agreements signed yesterday in Beijing during a meeting of Chinese president Xi Jinping and Argentinean president Mauricio Macri. A general contract was signed between Nucleoeléctrica Argentina SA (NASA), China National Nuclear Corporation (CNNC) and CNNC subsidiary China Zhongyuan Engineering Corporation (CZEC) for the two reactors. The contract was signed by NASA president Omar Semoloni, CNNC board chairman Wang Shoujun and CZEC president Yang Chaodong.